Create a simple, effective Web site. Secure your online presence now. Your home page should include the bare essentials. People are looking for exactly what they typed in. Get to the point and get rid of anything that doesn't need to be there. --- Your own .WS domain name: Truly brand yourself and your business with a personal domain. No need for extra numbers, characters or long domain names. You have 7 days to decide if the product and business is right for you. 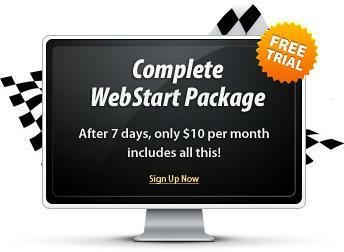 If you decide to continue we will charge you $10 per month. If you do not think it's right for you, simply cancel it by the 7th day and you won't be charged.